Hello folks, This blog was more or less dormant, as I was cofounding and tinkering with this awesome new site for all foodie lovers and wannabe chefs to showcase their talent ! And now after months of work, the site is ready for ya! 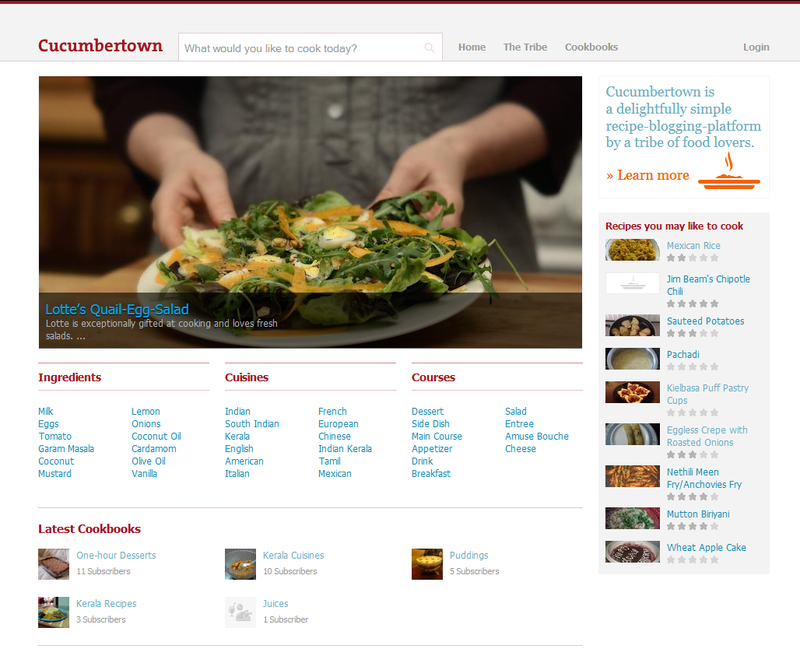 Head over to Cucumbertown.com to take a look at it.